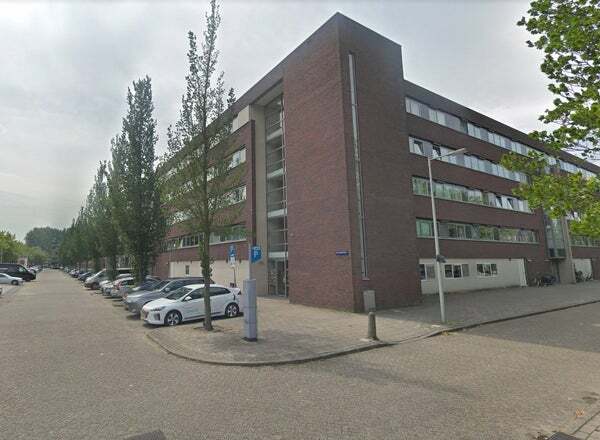 Within walking distance of the VU and ING head office and Amsterdam forest, Stadionplein and Amsterdam Zuid, you will find this well maintained apartment. Public transport and the ring are just around the corner. Layout: entrance, hall, toilet, bathroom with bath, separate shower and sink, master bedroom with a double bed and wardrobe, second bedroom with a single bed and bedside cupboard, all bedrooms have laminate floors, spacious and bright living / dining room with laminate flooring floor and balcony, half open kitchen with appliances such as a dishwasher, fridge, microwave oven and electric hob.